What to do in the lull between the Radeon RX 400-series cards and launch of RX Vega? You could do nothing, put your feet up, and wait for the Vega-powered GPUs to proliferate from the premium space to the mainstream. Such an approach would take time. On the other hand, you could take another look at the incumbent RX 400-series, find ways to make it better, and then release said GPUs under the RX 500-series banner. AMD is doing just that in the run-up to Vega, and the first two GPUs to get the numerical model makeover are the RX 580 and RX 570 GPUs, so let's take a look at what's new and what's not. The new Radeon RX 580 and RX 570 GPUs are based on the same Polaris architecture as the existing RX 480 and RX 470. They also use the same core, ROPs, memory type and bus-width footprint, so we need to examine what is different. It turns out there's not a lot. 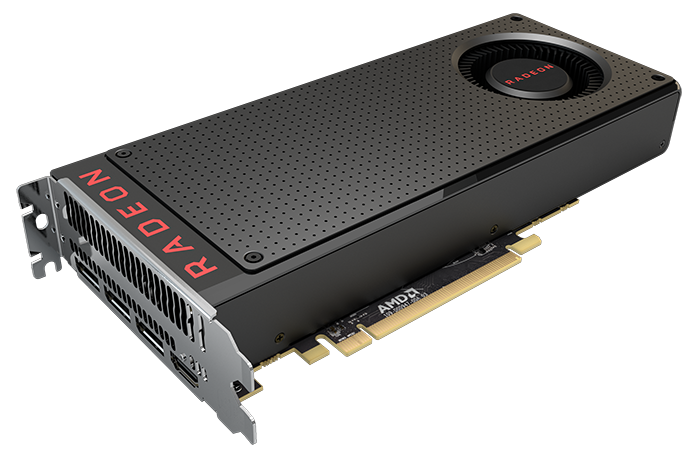 AMD has increased the shader speed of these RX 500-series cards by jacking up the voltage a little and taking advantage of the improvements in the manufacturing process that inevitably occur over time. A reference RX 580 has a peak boost speed of 1,342MHz compared to 1,266MHz on the RX 480. All other performance-related parameters remain the same, and this means we expect the RX 580 to be only a few per cent faster. The Radeon RX 570, meanwhile, also matches the older card's architecture topology and has a smaller default-speed bump - 1,244MHz vs. 1,206MHz. Memory speed is increased from 6,600MHz to 7,000MHz, so again, we expect to see not much more than five per cent performance improvement. Actual performance uplifts will depend upon how adventurous the partners want to be, of course, and we find it, on first blush, difficult to appreciate how AMD can call this a new series of cards - it looks and feels more like rebrands than anything genuinely new. AMD will counter with the fact that the RX 500-series is more than just clock hikes alone. The RX 4x0 GPUs have just two memory states that correspond to idle and full load, with the latter being active when multiple monitors are connected to one card. For example, the isolated GPU power consumption when two 4K screens are attached to an RX 480 card is 25.2W, dropping to 17.4W for a single screen. RX 580 introduces a third intermediate state that has little effect on idle power consumption - single- and dual-monitor setups consume 11.9W and 13.4W, respectively. This intermediate state and other minor power-related improvements have a much more pronounced effect when watching a 1080p YouTube video, according to AMD, as the RX 580 8GB's single-display isolated power consumption is 14W; RX 480 8GB is a whopping 38.8W. We'll see these RX 580/570 cards come in at the same pricing levels as incumbent RX 480/470, leading to inevitable performance comparisons against the GeForce GTX 1060 6GB and 3GB cards. We have a well-clocked Sapphire Radeon RX 580 Nitro+ in for evaluation. Read on to find out just how good it is.